This is the fandisc+Sequel of DRAMAtical Murder. It offers ending afterstories of the endings of the original game. There are also Featured Contents. 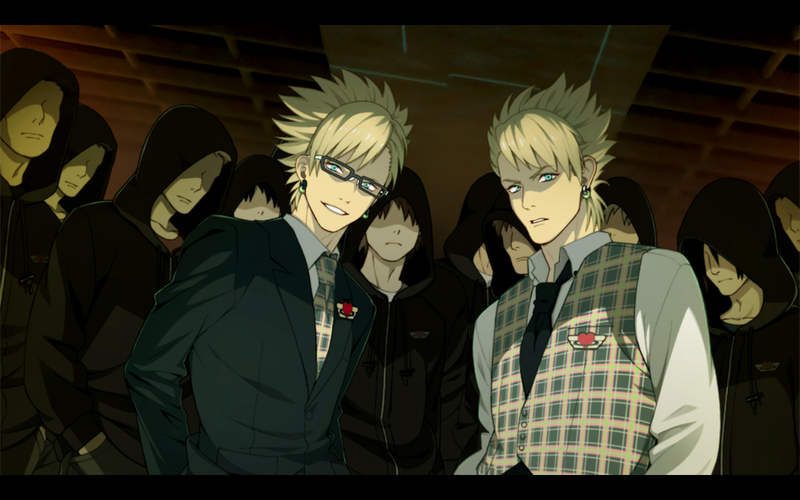 - DRAMAtical Mother (DRAMAtical Moder in English Translation Patch): Nitro+CHiRAL's 2012 April Fools 'title' made its way to this game! Watch the special 8-bit 'RPG' movies that took place in the DMMd world. - Character Matching Game: This is a minigame where you match cards. 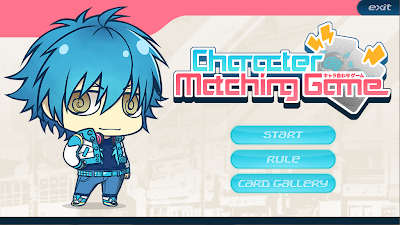 Play as Aoba and strike through as you play a match with the DMMd cast! - Special Gallery: See the official art that was made when DMMd was developed. Includes magazine-exclusives art (from Cool-B and B's LOG) and Limited Edition wallpapers. - 2012 April Fools -Aoba's Twitter Log-: See Aoba's twitter log. 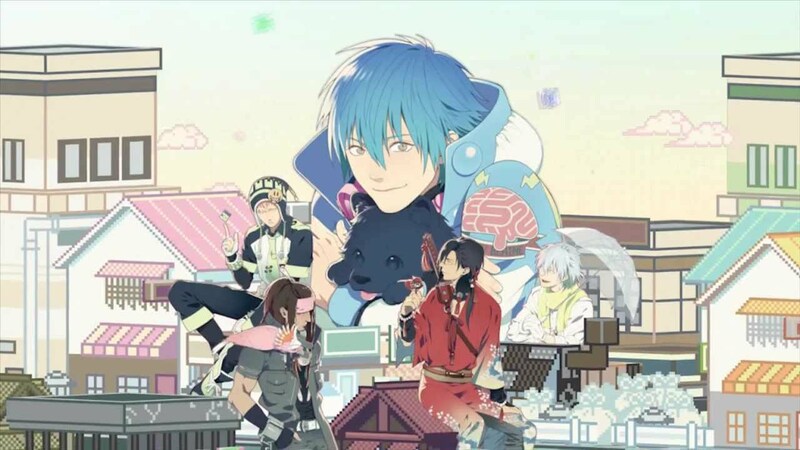 - Countdown Voices: Listen to the 8-day countdown voices that were used for the release countdown of DRAMAtical Murder (12.03.15-12.03.23) and DRAMAtical Murder re:connect (13.04.18-13.04.26)! It's strongly recommended that you finish the original game first. Each portal in the middle of the room represents a route, there are two unlockable routes, one platonic route for Mizuki that happens after the good endings for the original game and Aoba's route that contains a more in-depth backstory. 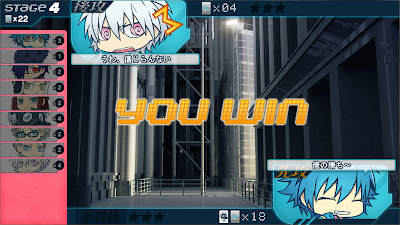 The min-game assumes that you already played all routes, so play the mini-game after beating the main story-lines. See the Bad Ends before the Good Ends. In ViTri's case do Virus' ending then do Trip's ending. To unlock the two final routes you need to go trough all endings including all possible choices during the Good End route of each character. Main Stories --> Aoba's Twitter Log --> Character Matching Mini-game --> Special Gallery --> Countdown Voices --> Aoba's Birthday Presents --> DRAMAtical Moder --> THE CHIRAL NIGHT 1.0 --> THE CHIRAL NIGHT 2.0 (Find on youtube). Don't forget to read the notes left inside the spoiler boxes. Also be aware that this walkthrough will only cover the interactive stuff (like mini-games), so Aoba's twitter log, countdown voices, Dmmd Moder and special gallery you'll have to see on your own. Main Room: Select the Green Portal then choose the Black and White Bunny Allmate. The rest is read only. Main Room: Select the Green Portal then choose the Green Bunny Allmate. Main Room: Select the Red Portal then choose the Black and White sword sheath. The rest is read only. Main Room: Select the Red Portal then choose the Red sword sheath. Main Room: Select the Pink Portal then choose the Black and White pipe. The rest is read only. Main Room: Select the Pink Portal then choose the golden pipe. Main Room: Select the Yellow Portal then choose the Black umbrella. The rest is read only. Main Room: Select the Yellow Portal then choose the White umbrella. Main Room: Select the Dark Grey Portal then choose the morphine icon. Main Room: Select the Dark Blue Portal then choose the Black and White pawn. The rest is read only. Main Room: Select the Dark Blue Portal then choose the Pink pawn. ALL of the above needs to be beaten for you to unlock his route. This story happens after the good endings of the original game. Main Room: Select the Light Grey Portal then choose the tear icon. The rest is read only. Requires ALL of the above to be completed at least once. 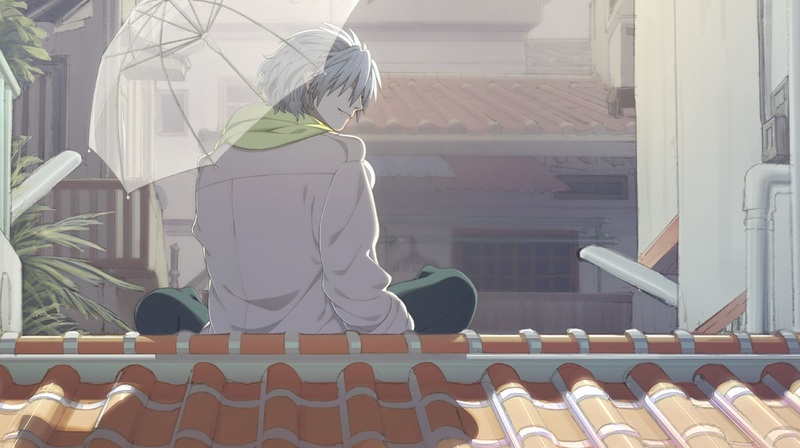 You'll learn more about Aoba's parents & Tae-san, and his backstory with them. Main Room: Select the Light Blue Portal then choose the brain icon. The rest is read only. As the name suggests it's a card matching minigame, it's not that hard, but, it's a bit luck based since the cards are random. Each character card have a special ability, so it's up to you which special card suits you more. Other recommendation is to lose purposely to see the Game Over cutsene you get from your opponent, some of them are really interesting. At the start you'll play a rock-paper-scissor game, if you win you can choose to take a offesive or a defensive instance. Offesive=The first turn is yours, Defensive=Opponent gets the first turn. Choose a random card and try to get the identical counter part (like a memory game), some cards have more than two counter parts! So be careful. In the end the one that have more cards wins the fight. If the cards are equal in the end, a sudden death turn will happen, where you will have to use luck to select the right cards. I recommend you following the battle order on the list for a better flow. 0-When you select a card, you can see a box with a descripition of the ability of the card you got. 1-Ren's card is very good to use in the first half (Ren to Trip), Trip's card is good to use until you reach the final bosses and Demon Koujaku card is really good in the Three final bosses. 2-The cards are random, the only thing that changes from character to character is their special ability and the difficult. 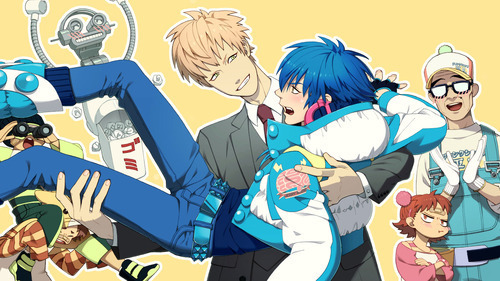 A mini point and click game where you have to select the presents that Aoba is caring. Click on the white card on Ren's pawn. 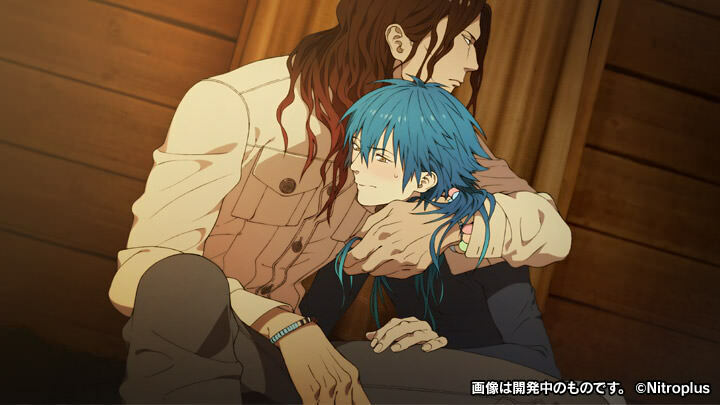 Click on the blue wrapping to the up-left of Aoba's head. White and Green gift bag on Aoba's arm. Red box with a flower pattern on the left side of Aoba. Brown wrapping with a feather near Koujaku's present. Black gift bag at the bottom-right of the screen. Black box at the bottom of Koujaku's and Mink's present. Not much to tell, pretty simple, just watch the main visual first, then watch the rest of the stage drama, and if you want, also watch web voice's. This walkthrough is based on info attained on Nitro+Chiral Paths, DRAMAtical Murder Wiki and my playthrough of the game.